There's an Amber Alert for a Kansas City, Missouri, baby named Lisa Irwin. The baby allegedly was taken from her crib in the middle of the night, on October 3rd and has not been seen since. The mother put her to bed around 10:30pm and when the father came from work at 4:00am, he went to check on her and she was not in the room. Let's send our prayers and good thoughts for this baby to be found soon safe and sound. The article on ABCNews says there is no hinky vibes to the family, and are cooperating. However, there is something that is bothering me, and maybe it's just my critical thinking. Police say Lisa’s father returned home from work around 4 a.m. to find the child missing and immediately started banging on neighbors’ doors asking if they had seen her. What bothers me is that Lisa is 10 months old, maybe not even walking yet... and he's asking the neighbors if they have seen her? So, I would like to know if he's thinking that she got out of her crib, opened the front or back door, walked to a neighbor and knocked on their doors... or something... so that they could've seen her in the middle of the night. And if the neighbors had seen her after 10:30pm, wouldn't they have called the wife, the husband, or the police? So, why knock on the neighbors doors? Unless the newspaper has it wrong, and we know they many times screw up, I would like clarification on that. Kansas City police say they have not identified a suspect in the case of a 10-month-old girl abducted from her Northland home. Authorities say the suspect entered through a bedroom window and snatched the baby from her bed as she was sleeping. Police were called to a residence located in the 3600 block of North Lister Ave. around 4 a.m. after Lisa Irwin's horrified parents discovered her missing. She was last seen on Monday around 10:30 p.m. when her mother put her to bed in a crib, police said. Her father is an electrician and he arrived home from an overnight shift about 4 a.m. He discovered Lisa missing and frantically called police, friends and family tell KCTV5. The father declined to speak to reporters. He became emotional at times as he waited outside his home Tuesday for answers about his daughter's disappearance. Friends and family came by to offer their support. KANSAS CITY, Mo. -- Kansas City police canceled an Amber Alert Tuesday evening for a missing 10-month-old girl, although the investigation and search for her continues. Police issued the alert for Lisa Irwin early Tuesday morning. The baby was last seen at 10:30 p.m. Monday asleep in her crib at her parents' home in the 3600 block of North Lister Avenue. At 7 p.m., as expected, police pulled the Amber Alert, saying the system was designed to raise awareness early in an investigation to alert the public. "Although the investigation and search for Lisa Irwin continues, an active Amber Alert is no longer necessary in this case. Lisa Irwin is still considered a missing/endangered juvenile," police Sgt. Stacey Graves said in a news release. BREAKING: KCPD Sgt. just told me we have a homicide at 120th & Northeastern in the Northland. I'm having a hard time believing someone came in a window and took a 10 month old baby. Mahoney also pointed out that the location of the home is not a place where you can get to by accident. The street is on a windy complex of roads, and he reported that you really have to know where you're going to get to the house. It's about 13 miles from the home on N. Lister to the homicide mentioned in the article. I'm from south of the area and to my knowledge, the area of the homicide is not a high crime area. Any abductors would have to know that (1) there was a baby living there, if they were looking for a baby to steal. They had to know (2) in which room the baby slept in, (3) which window to pry open without waking those in the home or the neighbors. They would have to know (4) that the father was out working and wouldn't be coming back for many hours, (5) that the other neighbors wouldn't be out looking at him opening a window that faced the street, and (6) that the mother and other children in the home were in a different room. Now, did the perp drive, or walk? Would someone go through the trouble of breaking in, kidnapping a kid, and then walk to his/her destination? This is either someone who knows the home, the parents, and the neighborhood... or it is in my opinion, an inside job. There were reports of an eyewitness, a neighbor who swears he saw a man carrying a baby at midnight, the baby was wearing only diapers. The man pretended to go into a home, and the neighbor kept driving. I wonder if he's mistaken. The baby was wearing purple top and bottoms, and even if the perp tore off her clothes... did the searchers find any clothes laying around the home outside? There's another press conf at around 8:30pm. Lisa’s father came home from his work with an electrical company about 4 a.m. and found his daughter missing. 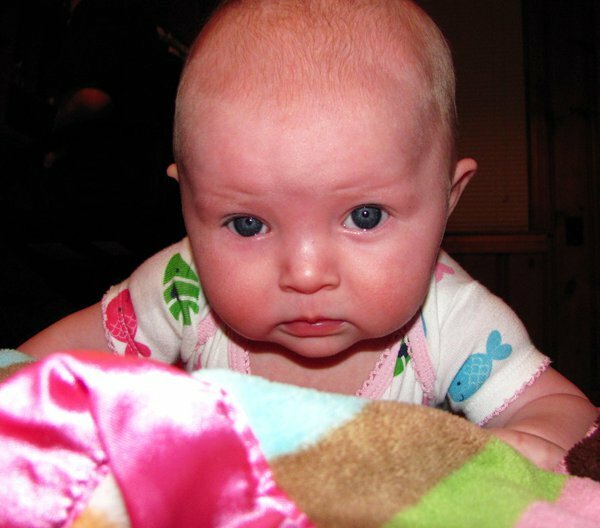 She was last seen about 10:30 p.m. Monday asleep in her crib. Evidence at the scene leads police to believe the child was abducted, police said. Two other children, both boys age 10 or younger, also live in the home. Young called the situation “unusual,” as many abductions involve a custody dispute or some other situation that can be confirmed quickly. In this case, both parents reside in the home. Detectives and crime scene investigators were trying to determine how the kidnapper got into the house. As of early this afternoon, police had not determined the entry point. Some pictures of the neighborhood with houses in them appear to indicate rambler/rancher style homes. Still windows are deceiving imo as to height unless I see a person standing next to one. I hope they find this baby fast. "Originally there was a window on the front of the house that appeared to be tampered with, that's something they were looking at, but we're not really sure if that's the entry point or not," Young said. "That's just a detail. The main point is there is a 10-month-old who isn't where she belongs and we're trying to find that child." I do know that somebody did contact us and say late last night, early this morning, she did see somebody walking down the street with a baby," he said. "That is something we've looked into. I don't know if it's necessarily led anywhere." Crime scene tape was still stretched around the front yard of the girl's home, a light-green ranch-style dwelling in a quiet neighborhood on a winding road on the northeast side of the city, at 3 p.m. Tuesday. The front windows of the house — one large one on the left side decorated with Halloween decorations, and a smaller one on the right with no signs of curtains or a screen — are easily accessible from the ground. A large deck is attached to the rear of the home, which has a fenced-in backyard. Link to map of neighborhood. House 3600 block of North Lister Ave appears to back to park/golf area - Buckeye Greenway? Not good. darling little baby....I hope that she is found safe and sound.. Yes, and wouldn't you have to know which room the baby was in? After all, you sure wouldn't want to wake up the mom and other kids because they would catch you. Something is wrong here. 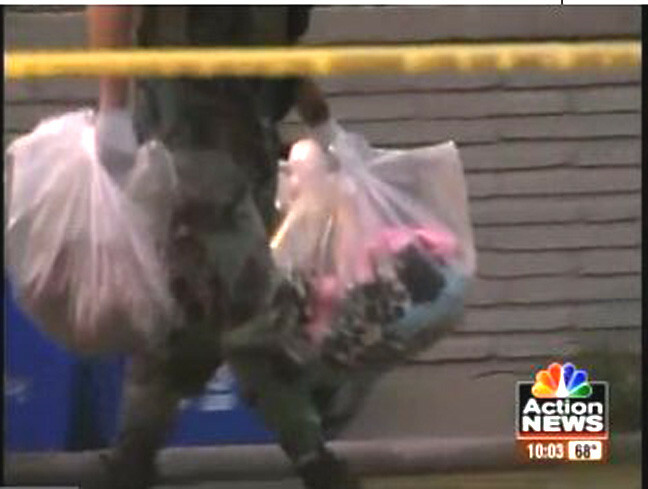 Police returned to the Irwin home and took two bags of baby items... though you gotta ask how does the reporter know that there were baby items in the bags. So far no mention of fingerprints, hair, footprints, etc... left by the perpetrator. One of the facebook pages set up for little Lisa. Even though they've canceled the Amber Alert, a crawl is still running across the screen. I saw press briefings on different channels during the day and a couple of reporters at different times asked if they police were sure she hadn't just crawled from her crib and walked away. The answer each time was (paraphrasing) it doesn't seem possible for a 10-month-old. I don't know if the reporters felt they were on to something, or if they are just not that bright (probably the latter ). Also, the father told a reporter that he wasn't going to say anything publicly until the police were done questioning the mother, he didn't want to jeopardize the investigation. As for the homicide mentioned, I believe that is going to be an adult female. Page created in 6.16 seconds with 20 queries.